Did you know that dirt, bugs, tar, road residue, tree gum are just a few of the many contaminants that can eat away at the surface of your investment? Cleaning should be a top priority on your bi-annually maintenance list. Especially after a trip, you should clean your RV camper as soon as possible with high-quality cleaning supplies that won’t scratch or mar the surface. 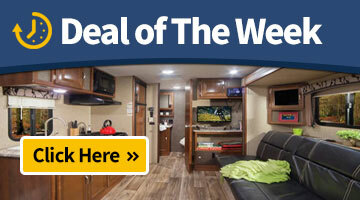 Remember: taking care of your RV is an investment that will pay off if you choose to resell in the future! PEI Home & RV Centre provides more than just great service and sales, we also have the capabilities to provide full service RV detailing. Known for our legendary vehicle detailing, we are equally qualified to provide the same professional RV cleaning service/ detailing to your trailer, 5th wheel, or motorhome. Carpet or upholstery stains, marks and scuffs on the walls/floor and outside streaks are just a few of the common items we are looked upon to make disappear. With over 50 years experience in the RV business, you can feel safe that your investment is in good hands and will receive the care and attention to detail it deserves. To book an appointment please call 902.566.1440.